When you decided to become a pediatric therapist, you dreamed of helping kids achieve independence and success, gratifying work with kids and families, creative collaboration with other professionals, and making a difference in people’s lives. Your career dreams probably didn’t include drowning in a sea of paperwork or being completely overwhelmed by documentation and data collection. But unfortunately, that’s how many of us pediatric therapists end up feeling – frustrated, exhausted, overwhelmed, and burned out. 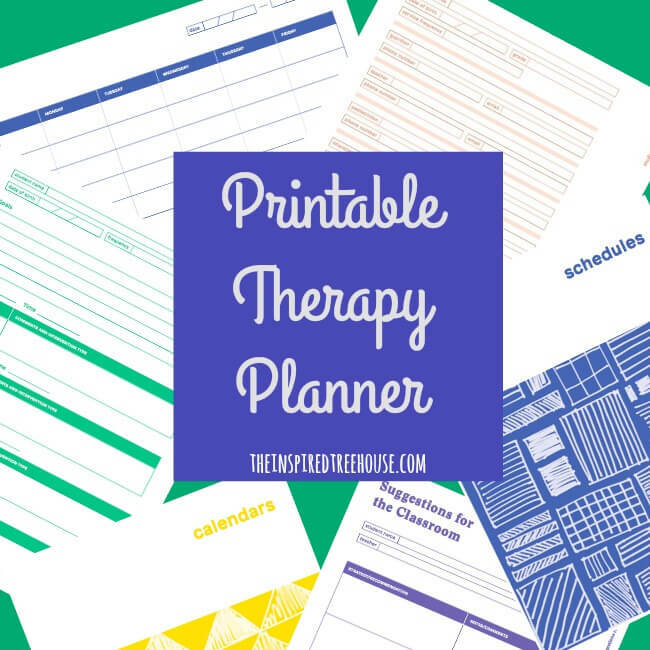 That’s why we created our new printable planner for therapists! 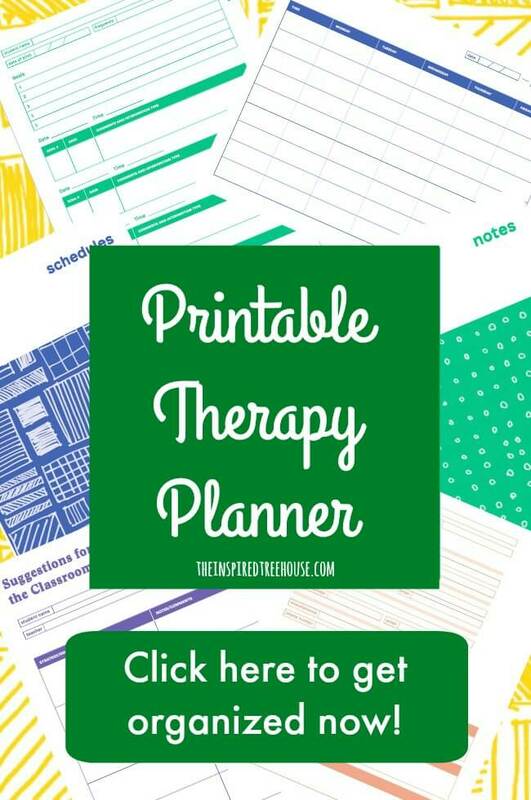 Perfect for school-based therapists and others working in pediatric settings, the Therapy Planner is an amazing tool that can help you organize and streamline your practice. All of the documents are digital and editable, so you can download them and type directly into the forms, or print them and write on them yourself! Preview some of the pages of the planner here! Stop reinventing the wheel each school year, creating (and recreating) data sheets and other documentation for yourself that never quite works the way you want it to. Stop spending so much time on documentation and paperwork that you have no room in your schedule for the parts of your job you really love. Stop feeling disorganized, scattered, and inefficient at work. 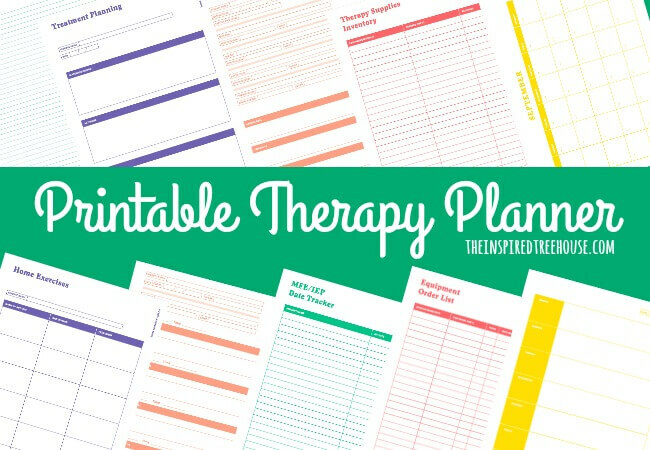 Use the The Inspired Treehouse Therapy Planner to get organized this year!